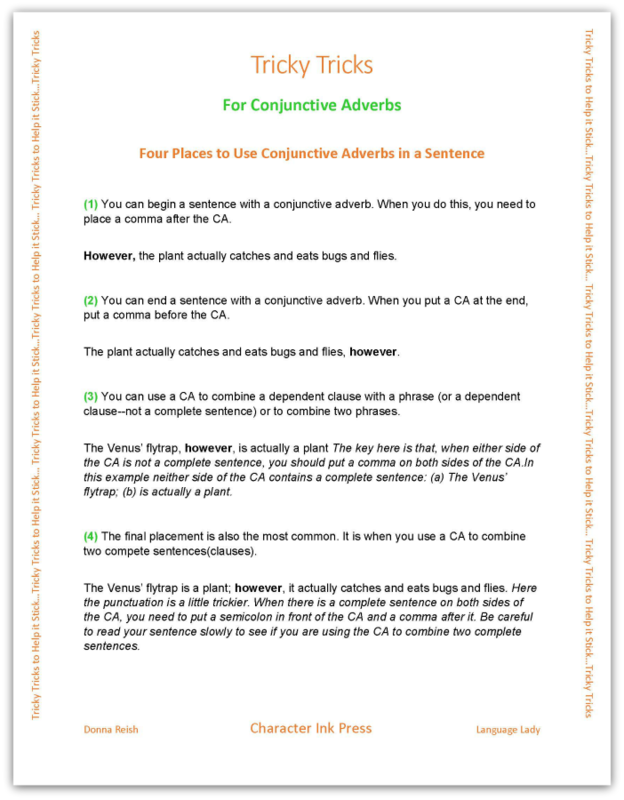 Conjunctive Adverbs–Comical Sentences Plus Tricky Trick Sheet for Students! Conjunctive Adverbs (CA’s) are one of the most confusing parts of speech to teach because they are not used that often. However, we need to teach students what they are and how to write with them because they carry so much meaning! 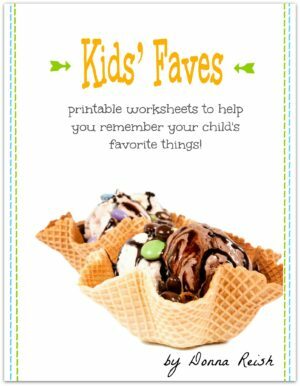 They are amazing for transitions–and they show so many relationships between words and between parts of a sentence. 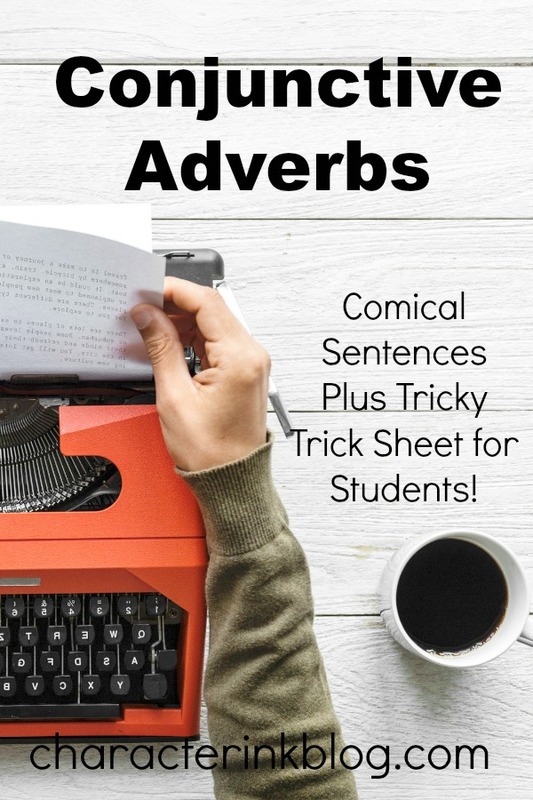 (Check out the Tricky Trick student download in this post for the four places to use Conjunctive Adverbs in a Sentence!) 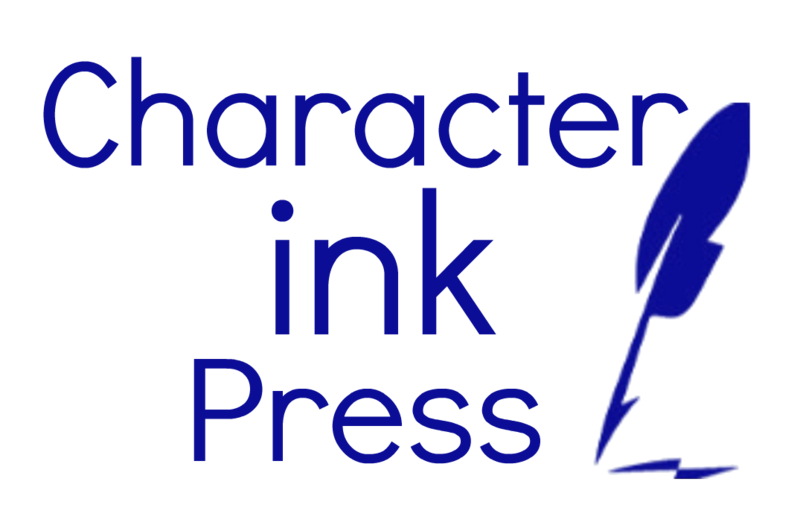 They also have several punctuation options (depending on whether the CA is in between two sentences, at the beginning of a sentence, at the end of a sentence, or splitting on complete sentence). 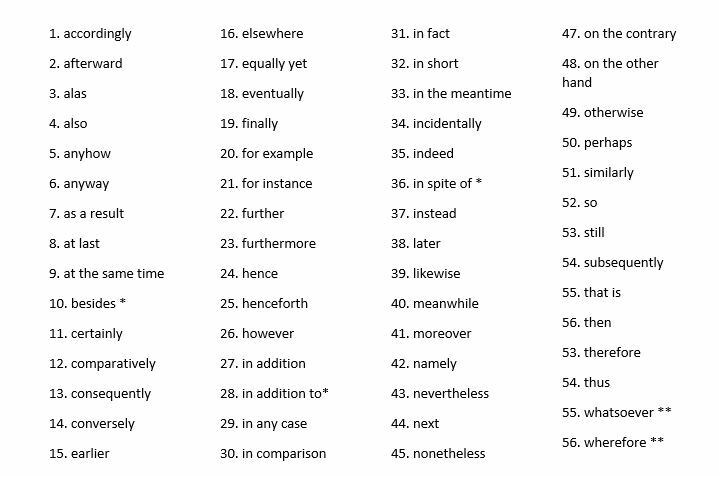 This post is going to give you a partial list of Conjunctive Adverbs and a comical set of sentences that one of my students wrote for her assignment when she had to “Write 15 sentences using conjunctive adverbs.” Plus, I have a Tricky Trick sheet for your students with the four ways that conjunctive adverbs are used/punctuated in sentences (and the aforementioned partial CA list). Lots of learning here! When you’re done studying the list and the Tricky Trick sheet, try to solve our Punctuation Puzzle containing these interesting words. Click or tap to download the two-page Tricky-Trick doc! Alas, I have been assigned to write fifteen sentences with conjunctive adverbs in them. So, then I thought, fifteen? In fact, that’s crazy! In spite of this crazy assignment, I still have to do it. At the same time, I understand that it is beneficial for my English learning experience. Nonetheless, I still think fifteen is a bit much. Perhaps Mrs. Reish thinks I that I will be a “conjunctive adverbologist” some day. Then I have news for you! Eventually, I plan on becoming a photographer. On the other hand, I love working with animals, so maybe I’ll become a veterinarian. However, I hate needles,so maybe that is not best for me. Besides, I’m already taking a photography class. No matter how persuasive Mrs. Reish can be, nothing whatsoever can change my mind! Anyway, I don’t need to use conjunctive adverbs. Thus, there is no point in writing fifteen sentences about them. 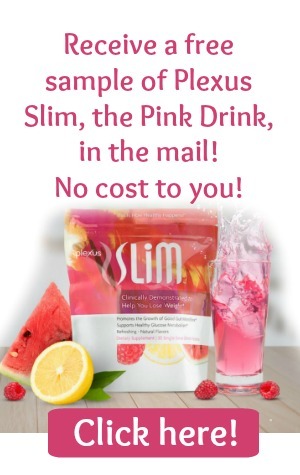 As a result….wait! What?! In spite of all my complaining, I’ve done it? On the contrary, I thought I was pretty bad at all this. As a result, I might become a “conjunctive adverbologist” after all! P.S. How can I help you become a stronger grammar teacher? Let me know, and I’ll see what I can do! Check out my Think Fast Grammar Quiz and Answer Key downloadable product for daily or weekly grammar practice!